President: Delinda Creal is a retired Army Ordnance Lieutenant Colonel. She is retired as a civilian from the U.S. Combined Arms Support Command at Fort Lee, Virginia. Vice President: Charles Bonnell is a retired Quartermaster Lieutenant Colonial and Army brat. He served at every level from Platoon Leader to Corps G-4 Officer. His most professionally rewarding assignment was Professor of Military Science at the University of Guam. He is the Vice President of FDM Tactical, a clothing and equipment store. He is a Ruritan, Master Gardener and volunteer at the museum. Charles has the Presidential Lifetime Service Award and is a Distinguished Member of the Quartermaster Regiment. He lives with his wife, Francoise, two sons, Will and Benjamin and two Standard Poodles, Scout and Aslyn in Prince George, Virginia. Treasurer: Janice Shearin–Smith is a retired US Army Lieutenant Colonel, Senior Human Resources Management Officer. Janice’s strong desire to serve her community has led her to numerous volunteer opportunities and community leadership roles. While on active duty she was awarded The Military Outstanding Volunteer Service Medal (MOVSM) for substantial volunteer service to the local community. 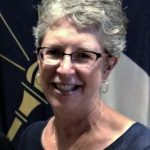 Currently, she serves as a Disaster Volunteer, Community Ambassador, Government Liaison, and Blood Donor Ambassador for the Capital Region American Red Cross. She also volunteers at the Hunter Holmes McGuire VA Medical Center. Acting Secretary: Florence I. Dunn is a retired Army Major and a retired federal civil service employee. She lives in Yale, Virginia, on the farm where she grew up. Member At Large: Candy R. Martin is a retired Chief Warrant Officer Five. She has many years of volunteer experience and most recently worked with nonprofit organizations. She is married to retired Sergeant Major Ed Martin, and they both live in San Antonio, Texas. 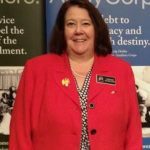 Member at Large: Cydnee Gentry is an educator, USMC spouse, and military brat. 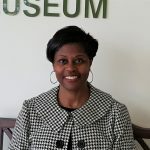 She has experience working for the Department of Defense, Military Family Readiness Programs, Girl and Boy Scouting, FAWMA, various public schools, and nonprofit organizations. Cydnee lives with her husband and son in Northern Virginia. Member at Large: Gail Taylor Black is a retired Army Sergeant First Class and is married to a retired Army NCO. 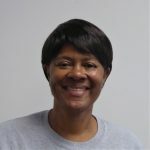 Upon separating from active duty in May 2000, Gail served in the Virginia Army National Guard for 14 years and was highly decorated during her career. Gail worked in the Nottoway County High School as a substitute teacher. Her current position is as a Citizen Soldier For Life Counselor with the Virginia Army National Guard. 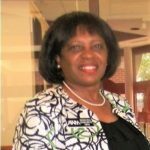 She is a member of the VA Purple Diamonds and is active in several veterans groups and is involved in church and community activities. 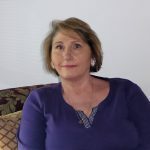 Gail is a loving mother and grandmother and resides with her husband, Clifton and their black lab, Shadow in Blackstone, Virginia. Member at Large: Luanne Kolleda has been a volunteer throughout her 35+ years as a military wife and mother. Most notably, she was the Scholarship Chairperson for various Spouses Clubs around the world. She currently lives in the Richmond, VA area and works as a paralegal. 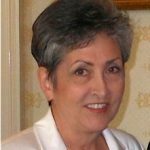 Member at Large: Vicki Archileti is a retired DOD Senior Executive Service member. 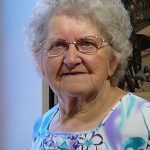 She lives in Virginia and volunteers at the Army Women’s Museum and the Daily Bread Food Bank. Vicki enjoys reading, traveling and considers herself a gamer. Since retiring, she has taken up watercolor painting and can while away hours with her brushes and paints. Her two Westies, Baillie and Tessa, are in charge at home and demand much attention.